Gautam Gambhir has expressed sadness about Ambati Rayudu's omission from India's World Cup 2019 squad. This, despite the fact that Gambhir had not picked Rayudu in his own World Cup squad that he had picked some time back. Yesterday, India's selection committee announced the 15-member squad that will travel to England in May for the World Cup. To the surprise of many, Vijay Shankar was picked ahead of Rayudu to bat at number 4. Rayudu struggled against Australia away and at home too. On the other hand, Shankar impressed the selectors in the recently concluded series against New Zealand and Australia. "After the Champions Trophy (2017), we tried quite a few people in that position. We did give a few more chances to Rayudu. Vijay Shankar is three dimensional. We are looking at him at No. 4 to begin with. We also have Dinesh Karthik and Kedar Jadhav. It's not that anything that went against [Rayudu], it's that a few things went for [Shankar]." 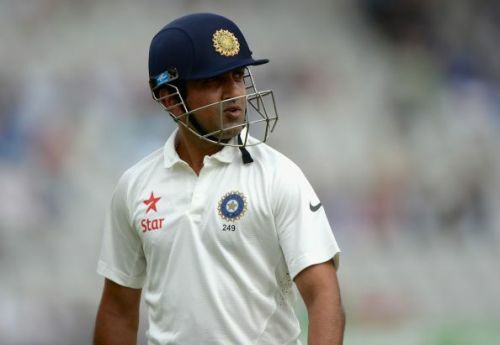 Former Indian Test opener Gambhir has now given his views about the selectors' decision, saying it was unfortunate on Rayudu. In an interview with PTI Gambhir said, "I think there should be no debate about Rishabh Pant's exclusion but more about Ambati Rayudu. "I feel sorry for him as I was in a similar position in 2007, when they didn't pick me and I know how difficult it is not being picked for the World Cup. Ultimately for any young kid, it is a childhood dream to be a part of the big event. So I feel more sorry for Rayudu more than any other cricketer, who hasn't been picked." This, however, is an about-turn from Gambhir as he himself had excluded Rayudu in the World Cup squad that he had picked just a few days ago. Gambhir had picked Sanju Samson in his team as backup wicketkeeper, and KL Rahul as presumably the No. 4 batsman. Rayudu is currently playing for the Chennai Super Kings in the IPL. He has been very ordinary with his performances so far this season, and will hope to use the World Cup omission as motivation to improve his showings.